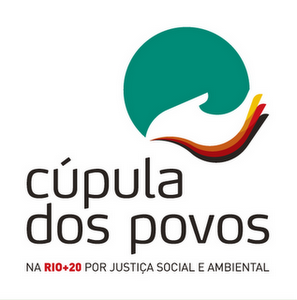 The People’s Summit for Social and Environmental Justice during Rio+20 is an event organized by global civil society that will take place between the 15th and the 23rd of June at Aterro do Flamengo, in Rio de Janeiro – alongside the United Nations Conference on Sustainable Development (UNCSD), Rio+20. To support the presence and visibility of the ecumenical family and interreligious cooperation during the UNCSD and the People’s Summit, many different actors worked together to create the concept of a common space in Rio +20 where we could build a common voice for social and environmental Justice and against the commodification of nature and life and for the sake of common resources, embracing autonomous initiatives, facilitating connections and communication among different initiatives and building and coordinating common consensus processes (from the Invitation Letter to the space Religions for Rights: An ecumenical and interreligious approach to Rio+20 and the People’s Summit). In November of 2011, the General Secretary of IEAB, Rev. Arthur Cavalcante, has visited the Anglican Diocese of Rio de Janeiro (DARJ) and that point it was already in the agenda the quality of participation of the Church. “the Rev. Nicholas Wheeler, from the Cristo Rei Parish in the Cidade de Deus (City of God), had shared about the organization of a local group of welcoming to the event”, affirmed the General Secretary of IEAB and added “the DARJ was very excited serving the Church in this important moment to Brazil”. It’s also important underline the presence of Rev. Daniel Rangel (Secretary of DARJ) in the preparation meetings of the People’s Summit Rio +20. Rev. Daniel Rangel is there on behalf CONIC-Rio (National Council of Christian Churches in Brazil-Rio) and Rev. Luiz Caetano (Parish São Paulo, Apostol in Santa Teresa). The Anglican Church officially doesn’t have a place in the committee, but it’s represented by these two reverends. Support the Regional Facilitator of the Anglican Alliance in this process. Rev. Daniel Rangel is participating since the beginning of the Inter-Faith Articulation Group. It took place in Rio several meetings and in the near future the General Secretary will release a summary of the Anglican participation. It had been proposed from the General Secretary Office (3) Round table on Ethic and Spirituality in the development and environmental debates, enabling youth and women to raise their voices in a theological perspective and in a challenge to churches get involved, particularly the Anglicans and (4) Round table with people from ACEN and AA, together with the Primate of Brazil, D. Mauricio Andrade. Those activities were submitted to the steering committee of the space. Soon we will know more details. The DARJ, the General Secretary and Regional Facilitator of Anglican Alliance are working closely in order to provide a good and visible presence of Anglican Family during the Summit. Responsible to receive and organize who is coming to the event. Please contact him about your presence in the event and copy your email to the Regional Facilitator of Anglican Alliance, Mr. Paulo Ueti. Visit the website of DARJ to further information. Visit the website of IEAB to further information.